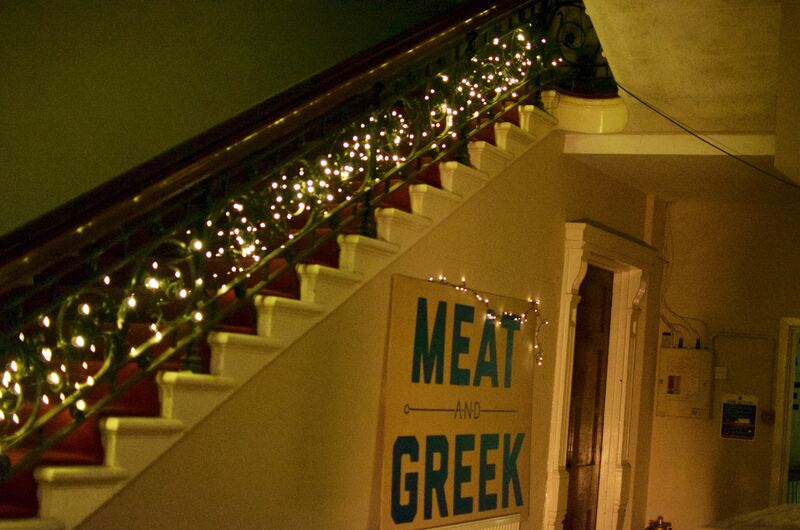 Have a mezze Christmas with Meat and Greek! 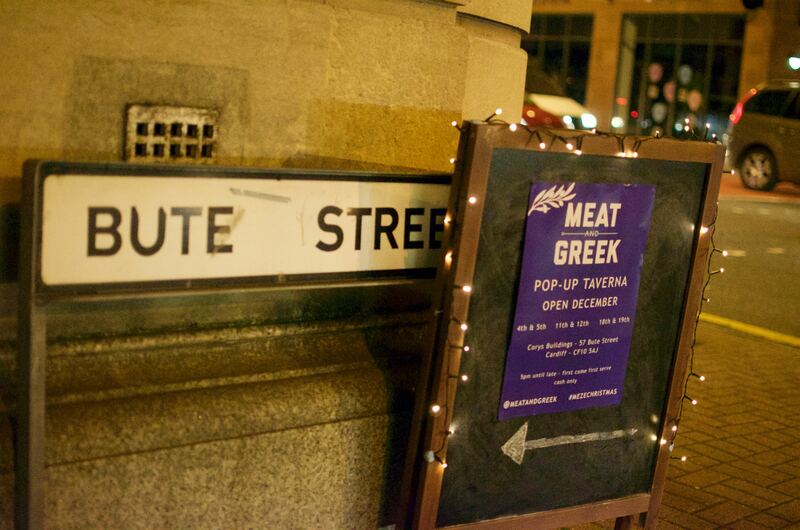 We popped along to the Meat and Greek pop-up restaurant in the Corys building on the corner of Bute Street last night. It was super special for a couple of reasons…. The building is grade II listed, and was built in 1889 for the Corys Brothers & Co. The business included ship’s chandlery, brokerage and the sale and export of coal. Ever since I’ve lived in Cardiff, this building has been boarded up, seemingly derelict. The ever-wonderful Meat and Greek, who are a local Greek Cypriot family, have lovingly painted and cleaned the lobby of the building, and built an absolutely gorgeous inside garden, made of wood and pallets and fairy lights. 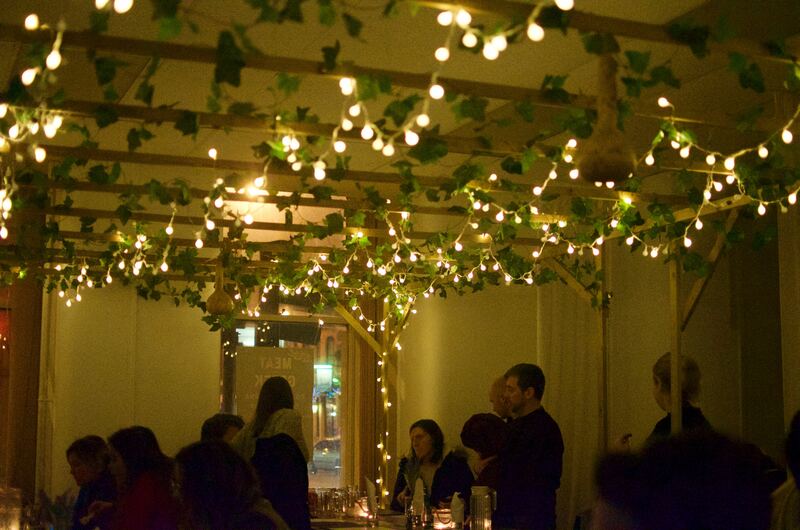 This is not your usual thrown-together pop-up. They must have spent days and days making this place look so beautiful. The second reason it’s such a wonderful experience is the food! 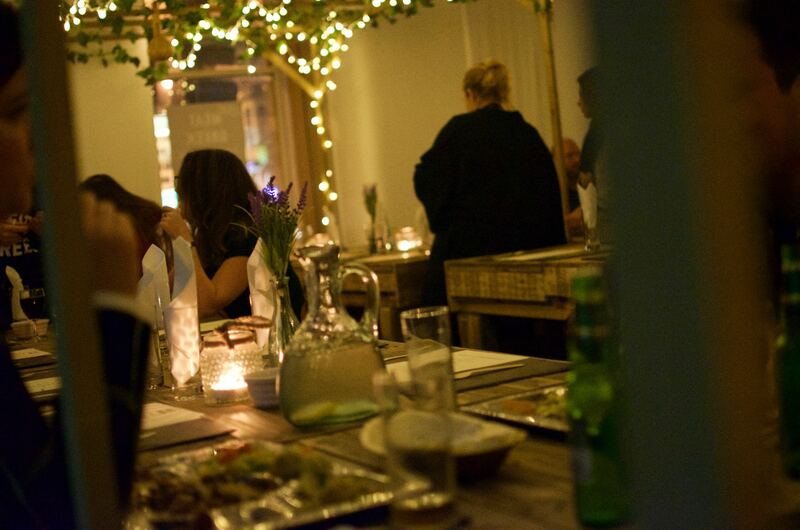 The menu is tastefully short – offering one starter, two platters (one meat, one veggie) and one dessert. 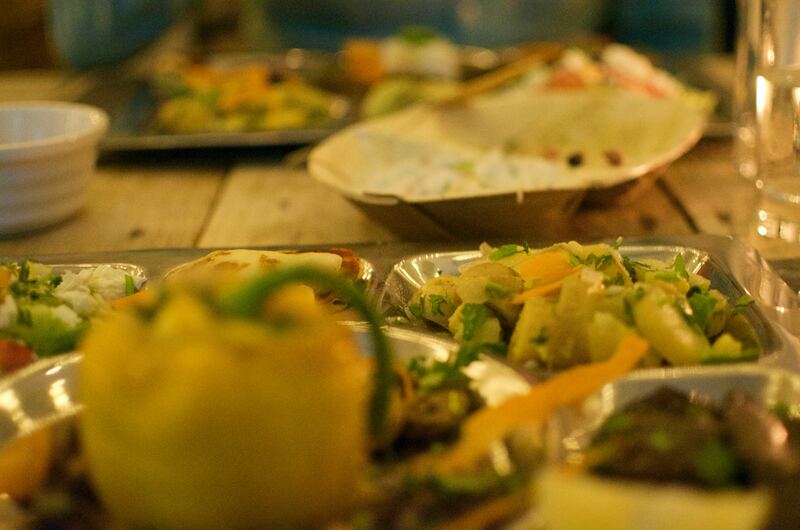 Platters comes with decent sized portions of pork, beef, halloumi, stuffed peppers, Greek salad, potatoes, aubergines, spanakopita (a savoury pastry), hummus and tzatziki…. The service is fast, everything is reasonably priced, and the staff are incredible. It’s only open for the first three weekends in December, so don’t miss out on this extra special pop-up! There’s more info on their Facebook page. ← Come out to play at the cabaret….